Aaron Smith is a professional Rugby player for the Highlanders and the New Zealand national team, the All Blacks. 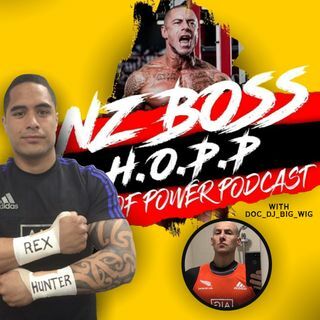 In this episode Aaron discusses his childhood in Fielding NZ; deciding whether to play cricket or Rugby, hair-do’s and don’ts and passing on offers to switch codes in pursuit of a dream. These days Aaron is settled in his position and riding high on a wave of success but forever reflecting on the journey without forgetting where it all started. Aaron shares his ambitions for the ... See More future and describes the magic that makes playing for one of the GOAT national teams that only a select few will ever experience !